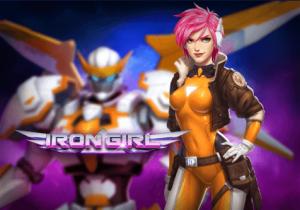 Get ready for an interstellar adventure with Play’n GO’s latest female hero Iron Girl. Help the space traveler to liberate the galaxy from all evils and get your hands on big wins along the way. This video slot is a high volatility game which promises entertainment in every spin. In fact, it has random features that you’ll activate after a non-winning spin! What’s more is that Iron Girl is also the first 3D game ever release by the Swedish game studio. So, not only does the gameplay pack a punch but the slot marks the debut of an entirely new game genre for the award-winning provider. Also, this is not your typical slot since it has a bounty bonus that you’ll activate with specific symbol combinations. 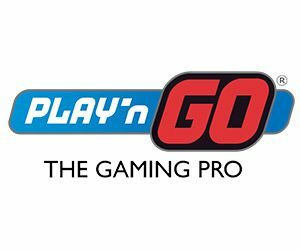 So, make sure to read about this game before venturing at any casinos that offer Play’n GO slots! Bonuses & features: Re-Spins, Sticky symbols, Multipliers, and extra Wilds. Highest-paying symbol: 5 blue robots on an active payline reward you with 10x your stake. As we briefly mentioned in the introduction, this Video slot features are primarily triggered at random or with the help of specific symbols. However, unlike other games, this slot does not have a Scatter. In fact, to trigger the bounty bonus you’ll need to capture villains. Or in other words, create a winning combo with 3 or more alien symbols. After that, you’ll notice that the bounty meter will expand over the reels. And you’ll automatically get a Re-Spin. Plus, the alien you’ve captured will remain on the reels. If you’re so lucky to create another winning combo, you’ll progress on the bounty meter and play a Second Re-Spin. You can repeat the same action until no more winning combos appear on the reels or until you get the max multiplier of 5x. Sure Iron girl is a high volatility slot, which means that the small wins are not that frequent! However, the random feature that triggers after a non-winning spin or when no wilds appear on the reels can help you win. In fact, randomly the robotic Girl will fly over the reels to give you up to 5 extra random wilds. And sometimes also trigger a Re-Spin. Undoubtedly, Iron girl video slot is not for the faint-hearted. Also, to fully experience the beauty of this game you’ll need a proper bankroll or to claim a casino bonus. Indeed, as for most high volatility slot, the small wins are not as frequent as in low volatility games. However, the big wins will for sure get your heart pumping. Try Iron girl today and get the real 3D experience thanks to Play’n GO’s latest technology. Saving the universe from evil has never been more fun! So try the game now and Good luck!